One of the perennial debates about quality is what to do about bias. Metrologists would prefer that it didn't exist. They want to stamp it out whenever and wherever it is found. It's a laudable mission, but what if the methods on the marketplace are currently unable to be standardized, harmonized, and/or calibrated so that the bias is pushed to zero? A recent Clinical Chemistry study found unacceptably large biases in 4 out of 5 common immunoassays: cobalamin, folate, ferritin, TSH, and Free T4. 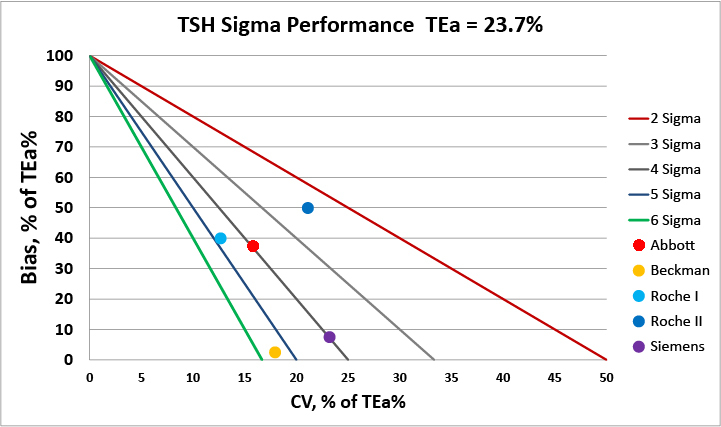 When methods have major bias, are Sigma-metrics more forgiving? 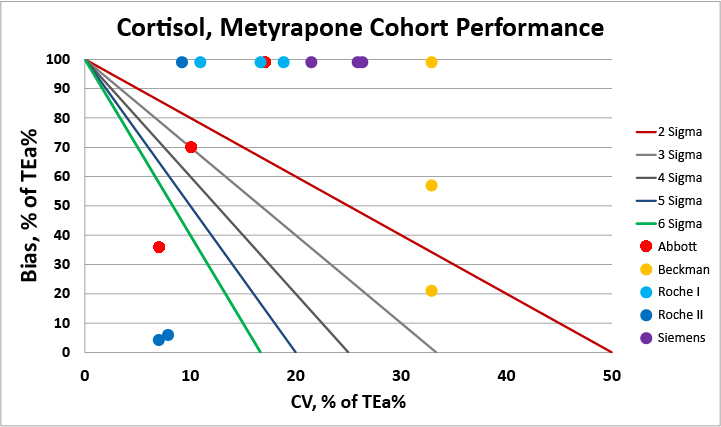 Yet another study in Clinical Chemistry took a deep dive into the bias present in different patient cohorts for common Cortisol methods. When there are significant differences in males, females, (pregnant and non-pregnant), laboratories and clinicians need to make sure they don't make one judgment on a method when there are multiple dimensions to consider. The first laboratory in Russia, INVITRO Labs headquartered in Moscow, achieved verification of their chemistry performance in early October. In mid-October, the first hospital in China was able to receive their verification of Sigma performance. Located in Guiyang City of Guizhou Province, this hospital commenced work earlier this year and finished their training and verification in short order. It's overdue, but here are a few pictures of the AACC/ACSLS conference in Philadelphia. Dr. Nils Persons from Siemens and I taught the Mehod Verification and Validation workshops again this year, continuing in a nearly 40 year tradition. The longest-running training provided by AACC, and this year it was full of topical discussions of companies like Theranos. Director of Wellness Selenda Warden certainly made us feel better when she stopped by the booth. Thanks to all who visited. Hope to see you in San Diego next year.